Transfer the PF Amount through EPF Withdrawal or EPFO Withdrawal with Interest rates…. An employee can made up of a Provident Fund (PF) account during his period. Those candidates can deposited 12% of the money from their basic salary to the Provident Fund (PF) account. 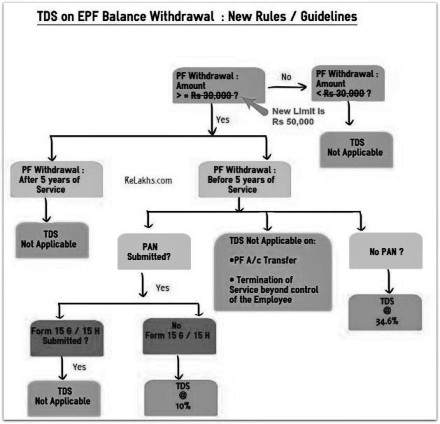 We have provided some steps, for how to EPF withdrawal the Provident Fund Amount below. By Using UAN : If you have an Universal Account Number (UAN), you can directly withdrawal your PF amount by using the Form-19, available at Employer / You can download it from the official website of EPFO i.e http://epfindia.gov.in. You can also withdrawal the PF amount from the Regional Office. Follow the below steps and withdrawal the amount easily. Take the PF Withdraw Form-19 from the Regional PF Officer/ Download it from the official website of EPF. Fill in the form completely in all respects, and attested by any Bank Manager/ A Gazetted Officer/ Magistrate/ Notary Public/ Post Master. EPF generally asking a letter for the reason of withdrawal amount, this is only for, they can’t encouraging the fraud applications. You should also attach the proof of employment letter (If available). Then your application form to the Regional office. Once you submitted, you will receive the amount along with the Interest within 3 months from the date of submission of application form. In PF account, an employee gets high interest rates (i.e., 8.75 %) per annum. Provident Fund amount is useful to the employee’s after retirement of their job. After completion of the 5 years period, you can withdraw the amount from your PF account without pay of tax. And also you will get the interest of the amount. If you withdraw the amount in before 5 years of the period, you will pay the tax on the amount of interest. So, don’t withdraw the amount in time of period.